Ah, sleep. We all need about 7 to 8 hours of it every night, and yet so many of us don't get it thanks to work, school, family, and general distraction–including the internet! 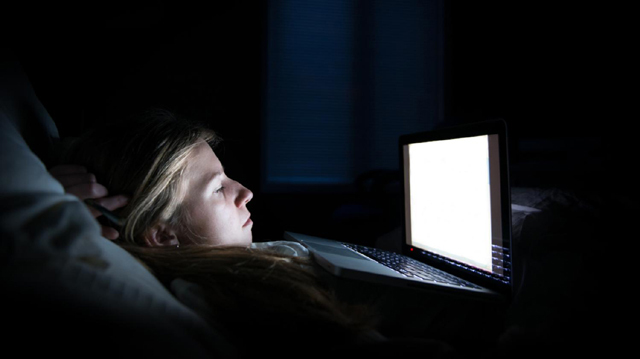 If you're someone who struggles to get offline at a decent time of night, perhaps you can start to slowly shift your bad habit of using the internet as an excuse to stay up by visiting some of the following websites. They're just a few fun (and surprisingly popular) sites that offer tools to help you sleep better. Bookmark them, read them, use them and watch how your sleep improves. While they certainly don't offer a complete solution for anyone with more serious sleep problems, they're at least helpful for some of those smaller sleep-related issues that we don't always think about. Not getting enough good quality sleep can lead to some painful mornings as you struggle with finding enough strength to resist hitting snooze again and again and again. Lucky for you, SleepyTi.me is a tool that may be able to help you fix that. You'll get a few suggested times based on counting backwards in sleep cycles from the time you put into the calculator. So if you don't want to struggle to wake up, aim to align your sleep with one of these times to stay on track with your sleep cycle. Whether you're at home, at work, on school campus or maybe even waiting around in an airport, a nap can help you pass the time and help you feel refreshed when it's time to get back to whatever you need to do. Rainy Mood is a great website to have bookmarked for some soothing music you can listen to for free with some headphones. As you might've guessed, this website is just a simple one that plays a constant stream of rain and thunderstorm sounds. There's also a link at the bottom labeled "Today's music," which changes day to day and gives you the option to play a suggested YouTube video of instrumental music mixed with the rainstorm sounds. Like Rainy Mood, Brain.fm is another sound effect/music service designed for people who are more serious about using sounds to help them sleep. In fact, the tracks included on Brain.fm have been scientifically tested and proven to improve sleep. When you choose a sleep track, you can select one for a short nap or for a full eight hours of sleep. Brain.fm is a premium service, but you'll get to try a few tracks for free before you decide to pay for unlimited use. In addition to improving sleep, it also has tracks that help improve focus and relaxation. Your computer monitor and mobile device screen might automatically adjust its brightness according to how much light is in the room, but F.lux is a tool that enhances this effect. It actually mimics the light according to the time of day, automatically changing the tint when the sun sets so that it looks more like indoor lighting. Why is this useful? Well, the blue light emitted from screens tends to mess with your body clock, which is why F.lux is so handy. When exposed to blue light at night, it can trick your body into thinking that it's daytime, creating a response that essentially keeps you awake. F.lux tints your screens to a warm hue so that the light you're being exposed to at night doesn't affect your body clock as much. Are you a caffeine lover? Everyone knows that caffeine is a stimulant that can negatively impact sleep, and Caffeine Informer's calculator is a little tool that may just give you a good idea of where to draw the limit on certain beverages that contain caffeine. Just pick a drink, enter your weight and see what the calculator recommends as a daily safe maximum intake. And for fun, the calculator even includes just how much might kill you (as if you could ever find it in you to consume such a ridiculous amount).